Home » Makita DLM431Z 36 Volt Cordless Lawn Mower Is Here! The Makita 36 volt cordless lawn mower (DLM431Z) is now available at KMS Tools—just in time for Father’s Day! This lawn mower uses two Makita 18 volt lithium ion batteries to efficiently and quietly cut lawns up to 10,000 sq-ft.
During the month of June (while supplies last), we are including two 4.0 Ah batteries (MAK-1964019BX) and a charger (DC18RD)—a combined value of $470—with every DLM431Z purchased. Buy yours today or check out our eFlyer for other great deals during Dad’s Month! Because it’s battery powered, the DLM431Z runs clean and quiet, and requires much less maintenance than a standard gas-powered mower. Yet with two 18 volt lithium ion batteries, the DLM431Z delivers the power you need to keep your lawn looking good. The DLM431Z can run for up to 30 minutes, depending on the length and thickness of your grass. 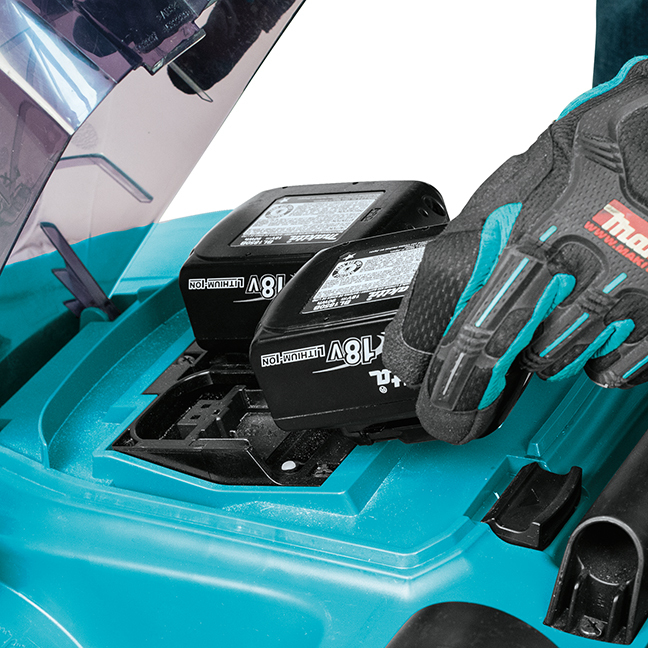 If you’re thinking about upgrading your lawn mower, consider the DLM431Z—especially if you have Makita 18 volt lithium ion cordless tools in your garage. This mower uses the same slide-style batteries as the other cordless tools and accessories in this popular and versatile line. New to Makita? Our introductory offer means the DLM431Z is the perfect way to start your collection of 18 volt lithium ion cordless tools. In addition to cordless drills, impact drivers and saws, the platform includes high-quality lawn and garden tools like blowers, chainsaws, hedge and line trimmers and more. An adjustable deck that lets you choose between 13 cutting heights, ranging from 13/16″ to 3″. A detachable grass-catcher bag that holds up to 50 litres and features a built-in grass level indicator. Ball-bearing wheels for improved maneuverability. Extreme Protection Technology provides dirt, dust and moisture resistance. Dual battery gauges that show charge levels for each battery. 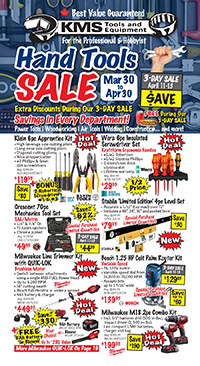 This entry was posted in Archives, Cordless Tools, New Tools, Outdoor Power Equipment, Power Tools and tagged cordless tools, Landscaping Tools, lawn and garden, Makita, ope, Power Tools by Your Friends in the Tool Business. Bookmark the permalink.